Archive from category "uPVC doors in buckingham"
You can create a whole new look for your Buckingham home with stylish uPVC doors. Our spectacular uPVC doors come in a range of styles, enabling you to create new entrances in your property, or upgrade old ones. Our uPVC doors are available as front doors, back doors and even sliding doors, giving you a wealth of choice for your Buckingham home improvements. 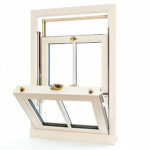 In addition to that, they are constructed using the latest double glazing innovations and offer fantastic all round performance. Take a look at the superb uPVC doors available to enhance your Buckingham home and how they could be the ideal home improvement for you. When you choose Affordable Windows and Construction for your uPVC doors installation, you are choosing the very best quality and performance possible for your Buckingham home. Our uPVC doors are manufactured by Liniar, one of the leading companies in the UK for double glazing. This means that you get the benefit of the latest innovations and technology with your uPVC doors. This includes the superb multi-chambered profile which acts as a thermal barrier to achieve incredible energy efficiency. Our uPVC doors are precision engineered to trap air within the profile which acts to block out cold and retain warmth within your property. With a uPVC door from Liniar, you can expect the very best thermal performance possible, outperforming even the strict standards set by Building Regulations. Any entrance in your Buckingham home needs to provide exceptional security to keep you and your family safe. With uPVC doors from our range, you will benefit from the best security available. All our doors are internally reinforced to ensure that the uPVC profile provides exceptional strength and durability, making them impossible to break. 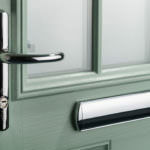 In addition to this, our uPVC doors are fitted with state of the art locking systems from Yale. These world class locking mechanisms offer incredible security to your home. With uPVC doors from us for your Buckingham home, you can be completely confident that you and your family are fully protected. uPVC doors are a great choice for a personalised entrance to your Buckingham home. Our complete range can be tailored to reflect your tastes and complement your property. Choose from our variety of colour finishes and woodgrain foils then customise your uPVC doors further with decorative glazing, hardware and accessories. 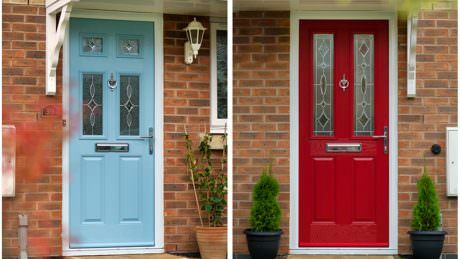 Whatever uPVC door you choose, there are a wealth of customisation options to make it unique for your Buckingham home. Our range of uPVC doors is extensive, so take a look at our summaries below for inspiration when it comes to your Buckingham home improvements. Perfect for front doors or for back doors, our uPVC doors come in a wide range of panel designs, both contemporary and traditional, so that you can find the perfect match for your home. Each one offer sophisticated style and a beautiful, welcoming entrance to your Buckingham property. 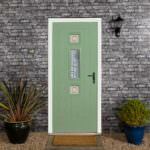 Enhance the character of your property with a little countryside charm when you choose a uPVC stable door. These pretty doors are incredible when it comes to versatility, as not only do they look fantastic, they also offer safe ventilation and a secure opening. 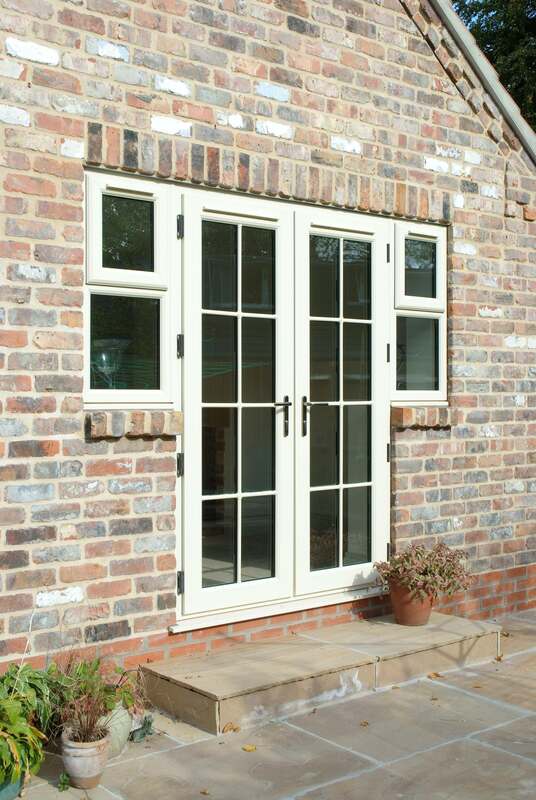 Our elegant and stunning uPVC French doors will enhance your Buckingham home in so many ways. You will benefit from fantastic views and a stylish entrance to your balcony or garden. 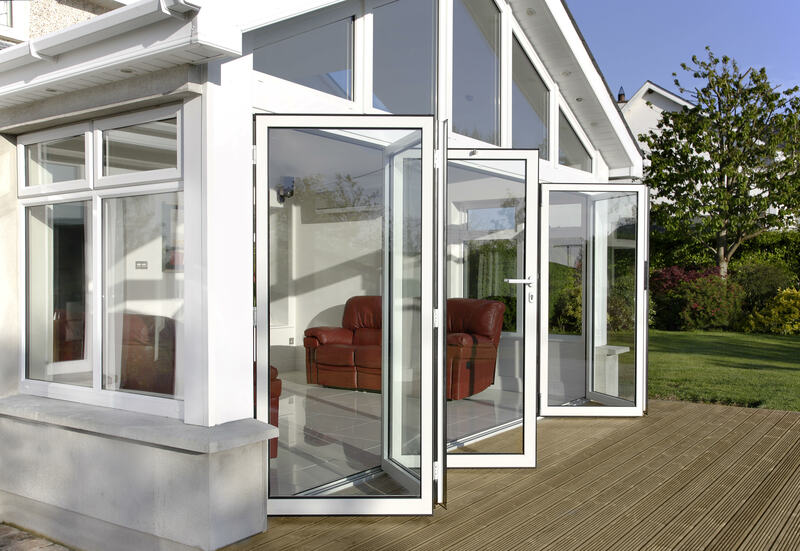 They can be opened inwards or outwards giving you the perfect option for your home. Our uPVC patio doors draw on the popular traditional design and then bring it into the 21st Century with state of the art technology and super slim profiles. You will benefit from superb views and a wall of glass that creates a beautiful entrance to your outside space. When it comes to luxury home improvements, our uPVC bi-fold doors provide your home with an exquisite feature entrance that creates an incredible visual impact and will give you a whole new experience of your Buckingham home. Why not get in touch with our experts and get advice on guidance on choosing the perfect uPVC doors for your Buckingham home? Our team are so friendly and are here to help you and answer any questions you may have, so please do speak to them about your uPVC door requirements. We also have a great online designer, where you can change the options and features to create the perfect uPVC doors for your Buckingham home. Try it now!